DESCRIPTION A perfect family home for those who want to live in an established neighbourhood such as Strathaven. Since this home is located in a quiet cul-de-sac, this home is perfect for those who are looking for a quiet, serene area to call home. Friendly neighbours make this area even more perfect! Great lot, with a large yard. New concrete was poured on this driveway last summer. 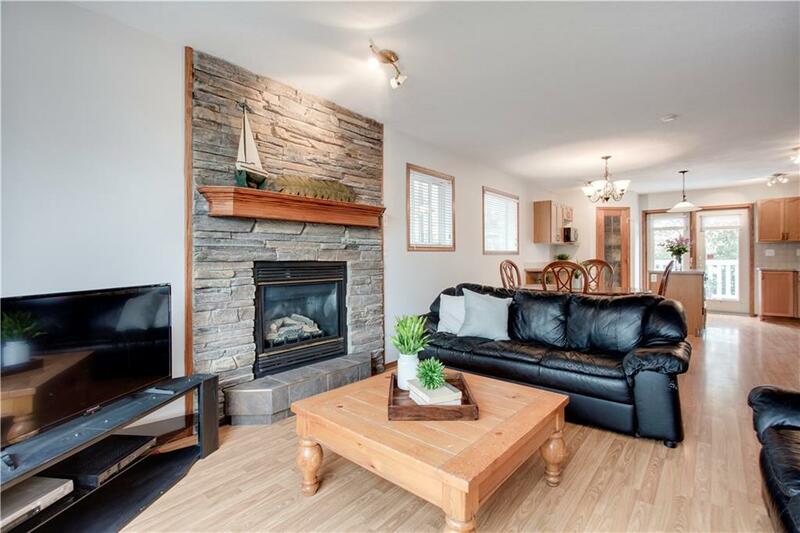 This home has great flow, with a sunny kitchen leading to the deck, gas fireplace, and master bedroom that has a large Master en-suite and another bedroom and bathroom. The basement is a walkout basement that has 2 large bedrooms and huge family bedroom or recreation room. Great use of space in this home! Click on virtual link to view video of this great home! 107 Strathford Ba, Strathmore, Alberta, MLS® C4229744 T1P 1P2 is a Detached, 4 bedrooms, 2 bathrooms, approximately 1,110 Sq. Ft. Listing price 325,000.00. This property was built in 2002.